We are the closest restaurant to the Kohl Center! 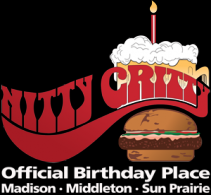 We are located 1 block north of the Kohl Center and directly across the street from the UW-Madison Southwest Dorms and Parking Ramp.The Nitty Gritty, a campus tradition for more than 40 years. Known for great food, great service, Trivia, and most importantly, BIRTHDAYS! Make sure to check back for updates and exciting specials!Public Transit Located on the corner of Frances and Johnson Streets, our restaurant is easily accessible by many of Madison's metro bus lines.